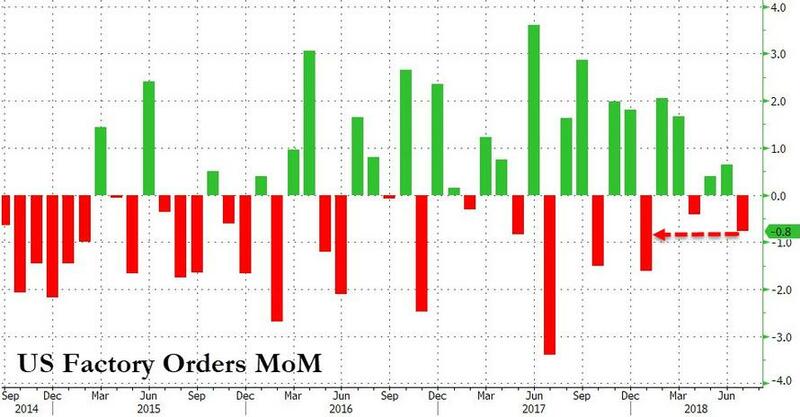 Despite all the exuberance at survey-based data and record-er highs in US stocks, US Factory Orders tumbled in July (down 0.8% MoM - it's biggest drop since January). 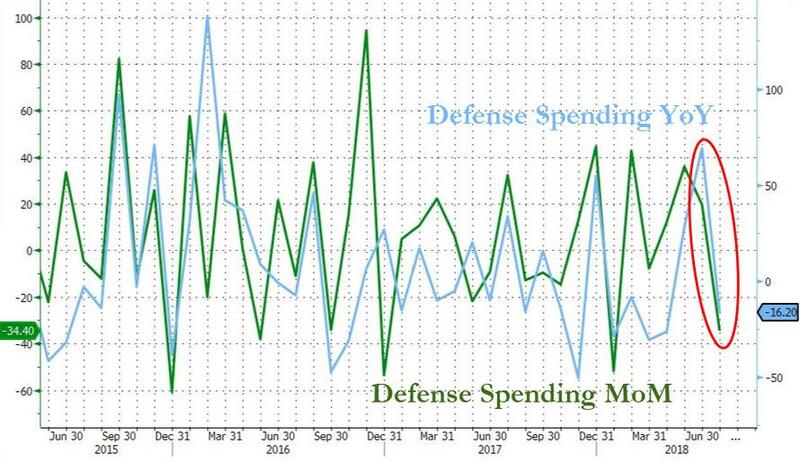 Welcome to the AmericanMilitary-Industrial economy! !